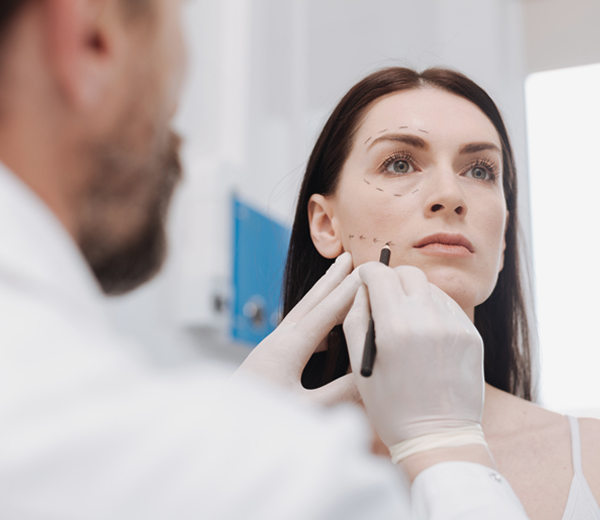 Facelifts can be done under local anesthesia for your safety and faster recovery and because they can be combined with laser resurfacing to minimize any scars, facelifts are becoming easier, less invasive procedures to undergo. And with advances in absorbable “strings” that can be placed under the skin to lift tissues without any surgical cutting, non-invasive techniques like Thread Lifting can give impressive results. Not sure which procedure might be right for you? Learn more about facelifts and Thread Lifts and call to schedule a personalized consultation with one of our physicians.